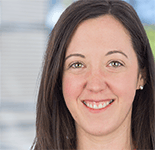 Katie is a manager and senior consultant in Forrester’s Total Economic Impact™ practice. She works with Forrester clients to evaluate the financial impact that their solutions have on their customers’ organizations. Prior to this role Katie was a senior consultant in Forrester’s Customer Experience Consulting practice. She supported clients who were engaging with Forrester for advisory and project work leveraging journey mapping, co-creation, and customer experience maturity methodologies. She has been with Forrester since 2008, serving in various consulting roles and contributing to the creation and refinement of several customer experience methodologies. Prior to joining Forrester, Katie served in a variety of product marketing roles at an online media company. She designed and implemented brand awareness and direct marketing products that allowed data storage vendors to reach their niche audience. Kathleen has a master's degree in education from the University of Massachusetts Boston and a bachelor's degree from the University of Notre Dame.